Under Germany’s recently-passed “anti-hate speech” law an opposition lawmaker was “censored” by Twitter and Facebook after criticizing a Cologne police officer for sending a New Year’s tweet in Arabic. In Sweden, a 71-year-old citizen was prosecuted for criticizing Islam — after parts of his native country have literally been transformed into ‘no-go zones’ for police by extremist Muslim migrants. And now, Austrian authorities have brought charges against 17 members of the Identitarian movement for being against mass immigration of mostly Muslim migrants. In the U.S., this would be like using federal racketeering laws to prevent the formation of an ‘America first’ political party. 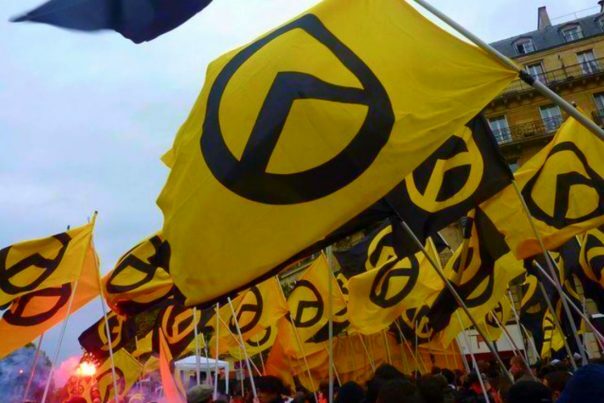 The public prosecutor’s office announced the charges Monday against ten of the leaders of the Austrian branch of the Identitarian movement and a further seven other activists. Seems as though Left-wing authorities in Austria are similar to those in other European countries — they’re mind-readers too. They’d have to be in order to make all of these assumptions about a group of people who were simply taking an ‘Austria first’ position on the issue of mass immigration. Britons and Frenchmen and Germans and Spaniards haven’t been killed recently by Christian terrorists (though we have the distinct feeling if Christians were murdering innocents these Left-wing governments would be perfectly at ease allowing them to be targeted by opposition groups). They’re being killed by Muslims. But apparently, you can’t say that in Austria; you’re supposed to shut up and ignore the truth, lest you be charged and prosecuted for daring to speak it publicly. The problem with Austria’s “hate speech” restrictions is the same as it is with those of other European countries: They are arbitrary. What one person in authority sees as hate speech, another may see as perfectly acceptable disagreement. Many Americans who long for Europe’s hate speech restrictions assume that those laws are used to outlaw and punish expressions of the bigoted ideas they most hate: racism, homophobia, Islamophobia, misogyny. Often, such laws are used that way. There are numerous cases in western Europe and Canada of far-right extremists being arrested, fined, or even jailed for publicly spouting that type of overt bigotry. But hate speech restrictions are used in those countries to suppress, outlaw, and punish more than far-right bigotry. Those laws have frequently been used to constrain and sanction a wide range of political views that many left-wing censorship advocates would never dream could be deemed “hateful,” and even against opinions which many of them likely share. Our founding fathers adopted the First Amendment’s free speech protections precisely to protect all speech, including unpopular speech. They would never have agreed to “hate speech” laws that could be applied on the whim of a prosecutor who simply didn’t like what someone had to say. Read more about speech protections at Liberty.news.